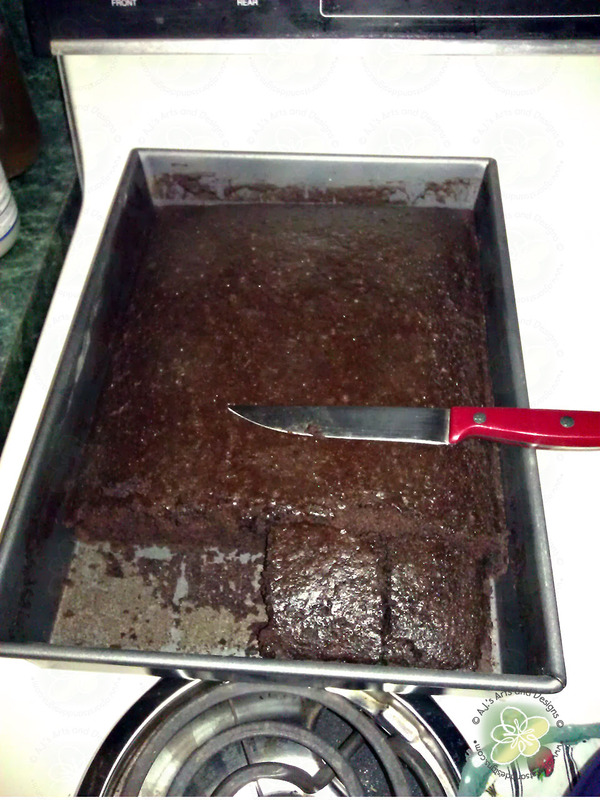 Tasty Tuesday – Dairy Free and Egg Free Cake! | Who Are You Calling Crafty? Tasty Tuesday – Dairy Free and Egg Free Cake! We try to cook something new every weekend. 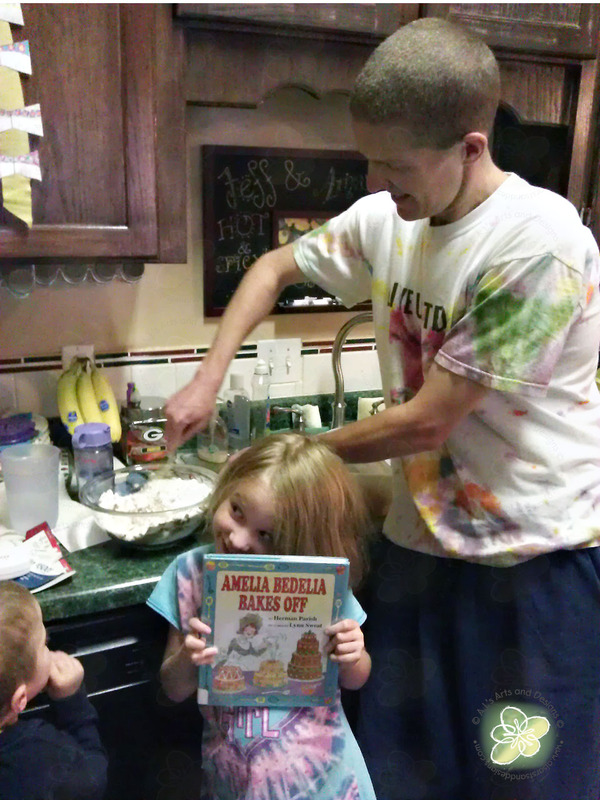 My daughter is obsessed with Amelia Bedelia with our most recent trip to the library we found Amelia Bedelia Bakes Off, an Amelia Bedelia book my daughter has never read. In the back of the book it had a recipe for a CAKE! The recipe was simple (no eggs or milk) which also means my daughter’s friend who has an extreme allergy to milk and eggs could enjoy this cake. I have also seen this called Wacky Cake. 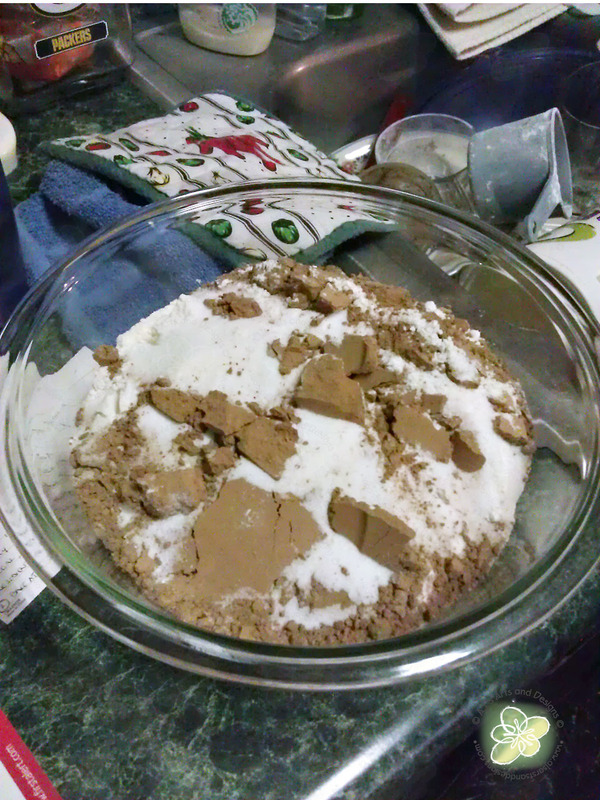 Sift the flour, sugar, baking soda, salt, and cocoa directly into an ungreased 9″x13″ pan. Add oil, vinegar, and vanilla. Pour water over all ingredients. Mix with a fork until smooth. Cool the cake and ice it in the pan with your favorite frosting. The cake – it is extremely moist cake. No frosting needed.